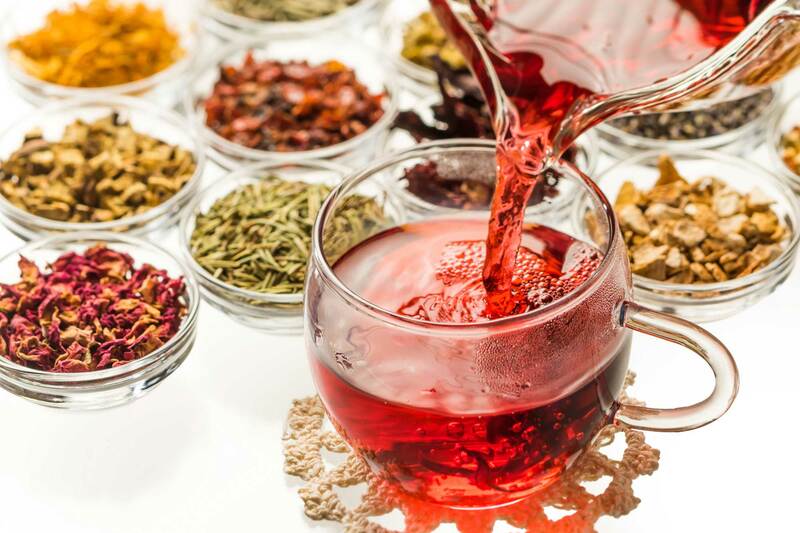 Whether you’re an avid tea drinker or just starting to explore the joy of tea, you may find yourself overwhelmed with the many types of tea available. There are a number of tea varieties including white tea, green tea, black tea, herbal tea, and oolong tea. And even within these varieties, there are further flavors and scents from which to choose. How is one to select the perfect tea blend? Look no further. Below, read about 7 scented teas that are sure to enhance your tea-drinking experience. Jasmine is a type of flower with beautiful, bright white blossoms. This tea is one of the world’s most popular teas, and it’s produced when jasmine blossoms are added to green or black tea leaves. It is often consumed in Asian cultures, and paired with Asian food. Jasmine tea is very fragrant with a fresh and bright flavor, just like the blossoms. If you desire a more subtle jasmine essence, you may brew this type of tea for less time than recommended on the package. For an invigorating, energizing tea, consider the classic mint teas: spearmint and peppermint. The two mints are used interchangeably in tea varieties, though peppermint is the more powerful of the two. Mint teas often come in organic varieties. Mint tea is an excellent alternative to coffee when you’re hoping to perk up a bit in the morning, and it can also be used to calm the digestive track after a heavy meal. This is one of the most popular flavored teas, and is readily available at stores for a low price. Whether lemon, lime, or orange, there are a number of citrus-scented teas to consider. Lemon tea, in particular, makes an excellent option for people suffering from the cold or flu. Consider adding a bit of honey to coat the throat for a classic honey-lemon remedy. Citrus teas are delicious whether hot or iced, and may be a popular option to drink iced on the patio on a hot summer day. You may even enjoy a small bit of orange or lemon rind in the tea to further enhance the flavor. Full of antioxidant and anti-cancer properties, ginger-turmeric tea offers more than just a pleasant scent: this tea fights an assortment of health concerns including stomach upset, arthritis, and even heart disease. Ginger and turmeric are both types of a root, lending these teas a spicy, pungent scent and flavor. This is a perfect tea for a cold winter evening, tucked in at home by the fire. For those who love sweet and bright fruits like berries, raspberry and passionfruit are two popular options. Many fruit-scented teas contain one or both of these fruits, as they are versatile and carry a delicious flavor. Raspberry tea, however, is not to be confused with the herbal tea made of raspberry leaves. Raspberry leaf tea carries no raspberry flavor, and is commonly used to regulate a woman’s monthly cycle. Of course, as tea aficionados, we recommend trying either or both! We’re sure you’ve heard of this one, as Earl Grey is one of the world’s most popular teas and is consumed by more than a fifth of the U.K.’s population. It’s a classic, alongside with the traditional English Breakfast Tea, and nearly always consists of black tea leaves. Earl Grey tea is one of the scented teas containing bergamot, which is a spicy, citrus-y flavor that lends a distinct flavor to Earl Grey tea. This tea pairs well with scones, biscuits, or other sweet breakfast breads. For the dessert-lovers out there, don’t overlook the scented teas made with caramel, vanilla, or even chocolate pieces. These can be a wonderful alternative to high-calorie desserts, and are perfect for an after-dinner treat. These teas may also be well-suited for the younger generations who prefer sweeter flavors, or for new tea drinkers who are still getting used to the bitter flavor of some teas. Teas with caramel and vanilla flavors are best served hot, as the warm temperature brings out the decadent taste. How Are Scented Teas Made? Scented teas may be produced in a number of ways. One common way is to add floral enhancements to the actual tea leaves. For example, a tea producer may add jasmine flower petals to a batch of green tea leaves, which results in a jasmine green tea. Some teas have even more unique flavor- and scent-enhancers, like vanilla bean, shaved coconut, or bits of caramel or cocoa. All of these options can be blended and customized to create delicious teas. Green, black, and white scented teas are full of antioxidants and other great health benefits. It is well-documented that teas can reduce heart disease, inflammation, and even free radical cells that may cause cancer. Teas are also often used for weight loss as they can reduce hunger pangs and keep you hydrated. In addition, scented teas smell and taste great, and can reduce some of the bitterness that tea drinkers may find distasteful. Flavored teas are also a great alternative to water or coffee, giving individuals a unique flavor experience to be paired with or without a meal. Although we’ve listed 7 delicious scented teas above, this is just a small fraction of the countless tea options available. There are a number of retailers, small and large, that provide pre-packaged teas or create their own unique blends. To learn more about the different types of teas, brewing methods, and tea flavors available, check out the rest of our site today!